Charlie Shoemake was born on July 27, 1937, in Houston, Texas. There were no musicians in his family, but his mother and father were both music lovers and had him begin piano studies at the age of 6. During his early years he had a conflict of interest between music and baseball, a sport in which he excelled. In high school, as a member of his schools city championship team, he was named unanimous first team all-city and attracted the attention of the St. Louis Cardinals. He planned to attend Southern Methodist University in Dallas, majoring in piano while continuing to play baseball but after one year decided that to reach the highest level of either field it would be necessary to choose only one. 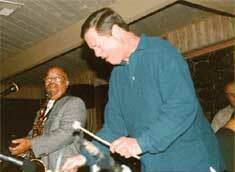 In the summer of 1956 he left Texas to come to Los Angeles and embark on a career in jazz music. The late 1950’s were a time of extensive study, attempting to master the concepts of his idols, Charlie Parker and Bud Powell and other greats that created in the same vein; Fats Navarro, Kenny Dorham, Clifford Brown, Sonny Rollins, Hank Mobley, Sonny Stitt, Phil Woods, Hank Jones, Tommy Flanagan, Sonny Clark. During this period informal studies with pianist Jimmy Rowles were very valuable, especially in the area of harmony. The arrival of the 1960’s saw a severe deterioration of jazz opportunities in California that affected all artists, but was particularly hard on younger players, forcing them into other forms of music. In Charlie’s case this meant doing a great deal of accompanying for singers, much of the time dealing with “show business” commercial work, a situation that he was unhappy with. One of the few singers that Charlie truly enjoyed playing for was his wife, Sandi, (They had met at a Si Zentner rehearsal and married in 1959) but Sandi was suffering the same problems as those of the young jazz artists, that of lack of opportunities for any young vocalist not involved in rock n’ roll and country western music. She was forced to compromise by entering the world of studio work; singing with vocal groups on television and for commercials. Charlie was soon to follow her lead. 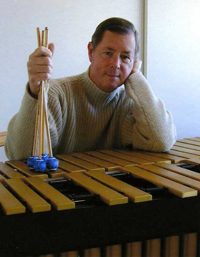 In his senior year in high school he had begun to play the vibraphone, an instrument he had always loved. Inspired by Victor Feldman, he came back to it in the early 60’s with the idea of finding another direction… away from the “show business” accompanying mode that he found himself trapped in. Within a relatively short period of time, again aided by Victor Feldman’s support and recommendations, he became busy in studio work playing the vibraphone and other mallet instruments as well as other percussion for composers such as Quincy Jones and Lalo Schifrin. This continued until the end of 1966 when one evening he went to hear the George Shearing Quintet at Shelley’s Manne Hole. The quintet’s drummer at that time, Colin Bailey, informed him that the vibraphone player with the group was leaving and that George was in great need of a replacement for a 5 week tour of the Midwest that was about to commence. After a day of reflection, Charlie decided to take the job, not realizing at the time that the 5 week tour would turn into almost 7 years with the group. During this period (1966-1973) the groups personnel would include guitarists Joe Pass, Pat Martino, and Ron Anthony; bassist Andy Simpkins; drummers Harvey Mason, Stix Hooper, Vernel Fournier and others. At the beginning of 1973 Charlie felt the need for a change. He wanted to be home with Sandi and their son Tal (born in 1960) and thought that opening a jazz improvisation school in Los Angeles could be successful. He was right. The school (of which Charlie was the sole instructor) flourished and by 1990 there had been over 1500 people come to Charlie for guidance in jazz music. Many of these students have gone on to highly successful careers. Saxophonists Ted Nash and Tim Armacost; Trombonist Andy Martin; Trumpeter Kye Palmer, Pianists Cecilia Coleman and Keith Saunders, to name but a few. Even smooth jazz artists such as David Koz and Richard Elliot credit Charlie’s teachings as an important early influence. In the spring of 1990, Charlie closed his teaching studio and left Los Angeles to move 225 miles north to the beautiful little ocean village of Cambria. The plan was to use Cambria as a home base while he and Sandi performed in various parts of the world. Soon after settling in Cambria however, they noticed a complete lack of appearances by any major jazz artists in the central coast area and approached the owners of The Hamlet (a fine restaurant with a spectacular view of the Pacific Ocean) about trying an occasional concert there. This was in the fall of 1991 and soon the occasional concert grew to be an ongoing successful series lasting for over 20 years (500 concerts) until the Hamlet was sold and closed in 2012. 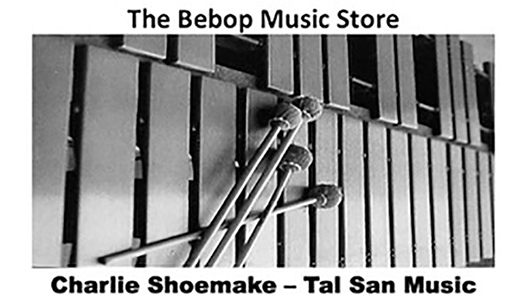 The Shoemakes’ then moved the series over to D’Anbinos a wine tasting room in the city of Paso Robles for three years but have recently returned it to Cambria at the Painted Sky Recording Studio. Also in the year 2012, Charlie returned to teaching, forming a 501 © 3 tax deductible organization called The Central Coast Jazz Institute. In the spring of 2015, four of Charlie’s first students from the institute were named the best community college jazz combo in America by Downbeat magazine.